We've established on here that I was a weird kid. A REALLY weird kid. When I was about 4 or 5 years old, I would tell people that I wanted to be a voodoo high priestess when I grew up. When I got a little older, I abandoned those plans in favor of becoming a parapsychologist, just like the people I read about in my grandparents' collection of parapsychology and ghost books! I enjoyed visiting spooky locations, watching anything that came on television dealing with the paranormal, and reading anything I could get my hands on. It's not that I was an evil, Satanic child. I didn't worship Lucifer and I certainly wasn't after any selfish gains, such as wealth, popularity, or immortality. I was simply curious as to whether or not I could actually do it. There may also have been a touch of oppositional defiance disorder thrown in for good measure. Even as a young child, I was starting to question a lot of things that I had been taught, one of them being the existence of Satan and how easy it was to summon him, according to movies and television. I was convinced that no matter what, it wouldn't actually work. However, on the off-chance that it did, I was prepared. I had planned on simply just not going through with the deal, lol. 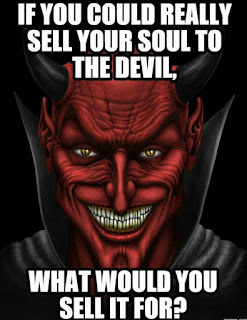 I would summon him with the promise of my soul, but before I signed any contract or made anything official, I'd just tell him I changed my mind. Apparently, I had thought this would be adequate, lol. So, without fear, I attempted to contact the Devil one night. I didn't do anything fancy...just simply audibly and in my head tried to call out to him that I wanted to make a deal. I think I did wait until midnight to do this, as if that would make a difference. Obviously, the red man never showed up. For a brief period of time, I was slightly worried that somehow it HAD worked without me even realizing it. But since I could still enter a church without bursting into flames and the automatic door at the supermarket still opened for me (Simpsons reference for ya), my confidence that I was okay quickly returned. 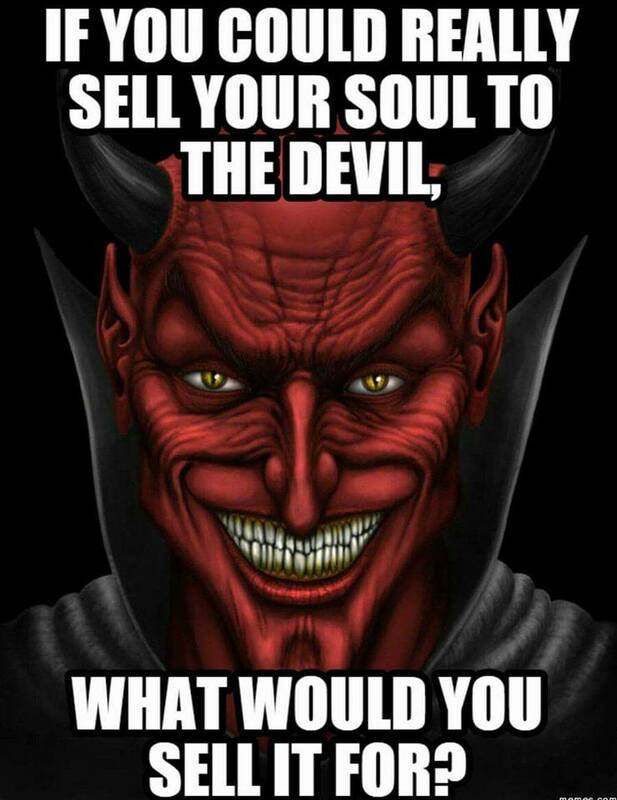 As an adult, I still have a hard time believing in a Biblical perspective of the Devil and his legion of demons. However, I still would not recommend anyone actually attempting to make contact like I had tried, so many years ago. While my beliefs tend to lean away from this Christian perspective of who/what Satan is, I am open-minded enough to acknowledge that there very well may be forces of good and evil beyond our comprehension. There are some things that its probably best to err on the side of caution and just not mess with, this being one of them, lol. I hope you enjoyed reading my Weird Wednesday personal experience for Demonic December---but try to do as I say, not as I do in this case! Theresa's Haunted History Welcomes 2018! Demonic December and Other Updates!